Calls to me do not go to an answering service. They may go through different phone numbers based on where you found me but they all end up at one phone. The number is not my cell/mobile phone unless I call you back from my cell. I typically only return calls from my cell phone when I am away from the office. You may or may not be able to text the number you called. Over the years, I have tried to reduce the numbers but most of my numbers have been on the internet for years so the old ones probably still work. I don’t dispatch calls. 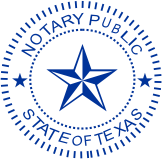 If you call and I am unable to assist I may be able to refer to you to another notary. I will refer you to the competition if I think it is beneficial for you. I do not receive any compensation for those referrals. I may however received compensation from ads on my website if you click and/or purchase. If I am currently with a client I don’t answer my phone. Please leave a message and I will get back to you as soon as possible. Calling multiple times will not help because I only return calls when there is a message. I don’t participate in the “someone called my phone so I’ll call them back and ask them why the heck they called me” as do some. If you don’t leave a message I assume you’re a robot, are calling the next notary on the list and/or are in such a hurry, I probably won’t be able to assist. I appreciate your call and hope this information helps you understand why I don’t always answer.